The time has come for a manifesto for truth and change at work. 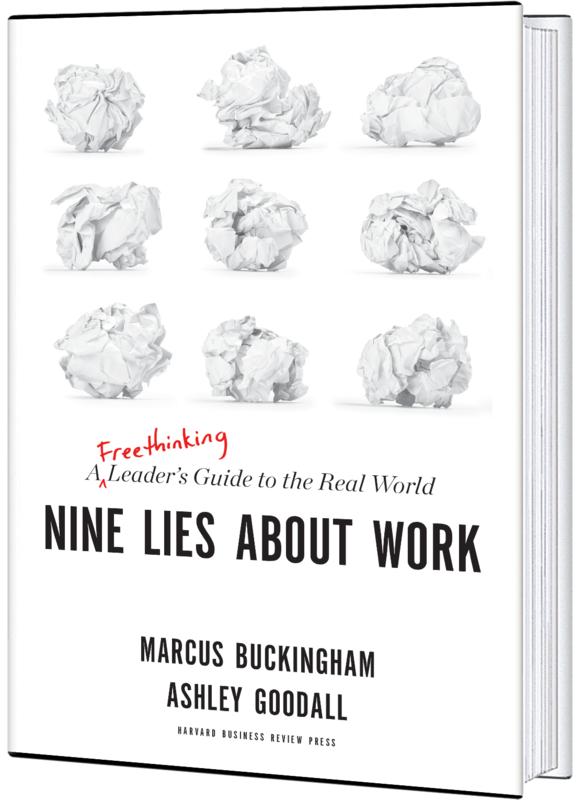 In NINE LIES ABOUT WORK: A Freethinking Leader’s Guide to the Real World (available now), strengths expert and bestselling author Marcus Buckingham reveals the unimpeachable data about how humans actually work. If you are a FREETHINKING LEADER, then this book is for you.